Cosmetic Dentistry Garden Ridge: Welcome To Our New Site! You’ve made it over to our blog here on our brand new site — first of all, we’d like to thank you for stopping by and learning more about our innovative cosmetic dentistry practice in Garden Ridge. 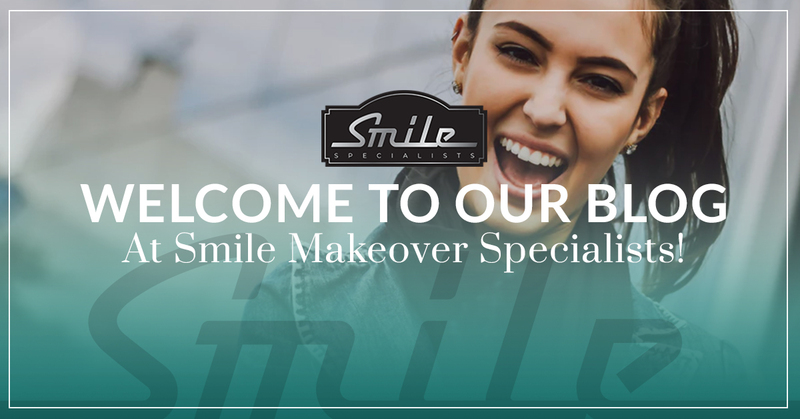 Conveniently situated in between New Braunfels and San Antonio, Smile Makeover Specialists is proud to offer the area’s most technologically advanced cosmetic dentistry practice specializing in reconstructive and implant dentistry. Before we dive into specifics and credentials, we’d like to take a quick moment to touch on why we’re so passionate about our line of work. Our love for cosmetic and restorative dentistry all revolves around the power of a smile. Whether or not you realize it, people are naturally attracted to other people’s smiles. We also gravitate to facial features like the eyes, nose, and mouth, but a genuine smile has the ability to express what other facial features cannot. At Smile Makeover Specialists, we truly believe that a confident, radiant smile helps create great initial impressions. A beautiful smile says a lot about your self-esteem, warmness as a person, and willingness to get along and interact with others. Beyond these aspects, it’s also important to note that smiling is, above all else, contagious! Your smile truly can inspired positivity and happiness in others. Our cosmetic dentistry practice may be grand new to Garden Ridge, but our resident dentist, Dr. Walter D. Thames, is no stranger to the art of cosmetic, general, and restorative dentistry. Born and raised in Abilene, Texas, Dr. Thames has lifelong ties to the Lone Heart State. Branching out to the open waters of the ocean, he decided to serve the United States by joining the Navy. Attending dental school at the same time, Dr. Thames worked hard and was fortunate enough to be accepted into the prestigious prosthodontics residency programs at the Naval Postgraduate Dental School in Bethesda, MD. After receiving his Master’s of Science in Oral Biology and obtaining a Certificate in Prosthodontics, he worked in Okinawa, Japan for three years, serving as the Department Head of Prosthodontics and Command Lab Consultant. His request for an honorable discharge was accepted and approved after his time of service, and his dedication is now to serve civilians in Texas. Our cosmetic dentists in Garden Ridge are fortunate enough to offer a comprehensive range of services designed for people of all ages and backgrounds. If you think that your teeth are beyond repair, we’re confident that we can help you achieve the smile that you truly deserve. Here’s a brief overview of what Smile Makeover Specialists offers. It’s common for most patients to experience anxiety prior to their visit, but certain individuals may need more than a reassuring smile from us. That’s why Dr. Thames is fully certified to perform sedation dentistry in the way of nitrous oxide administration, oral sedation, and IV sedation. This is the most comfortable and relaxing way to undergo any type of oral surgery or cosmetic dental work, and we’re happy to discuss options with you. If you’re missing any teeth, you’re not just dealing with a potential embarrassment, but also a lack of functionality in your mouth. We can help! Dental implants have proven to be a safe and effective solution for those in need of major oral reconstruction. Even more popular and widely employed than cosmetic dental implants, dentures are also extremely effective in cosmetically restoring your mouth. They also help reestablish your mouth’s original functionality. Learn more about our approach to dentures by visiting the link above. While traditional dental implants are a great option for many people, they’re not for everyone. For those that aren’t a good candidate, fixed dentures through Makeover Now® may be a more appropriate option. Dr. Thames is happy to schedule free consultations to see if this implant method is a fitting solution. When fillings aren’t the appropriate route to pursue, crowns can help. Despite the fact that your crowns will be customized to your teeth, our dental technology allows our Garden Ridge dentists to create yours on the same day as your appointment. There’s a certain stigma against braces for adults, and Smile Makeover Specialists is here to change that. Adults, just like kids, deserve straight teeth and a confident smile. From traditional metal braces to “invisible” braces, we’re proud to offer orthodontics for adults. In certain cases, individuals may have suffered early oral development issues, leaving their teeth misaligned and in need of full-on oral rehabilitation. Fortunately, our prosthodontic practice is fully prepared and fully equipped to help. Thanks to our membership with the Commission on Dental Accreditation (CODA), our Garden Ridge cosmetic dentists have access to the latest restorative dental technology. This ensures that our laser-guided procedures are accurate, painless, and, to many people’s surprise, comfortable. We say it best ourselves: your smile is our specialty! After all, it’s in our name. From teeth whitening to realignment, we’re here for you. In light of our fall 2018 opening, we’d like to thank you again for stopping by our blog. Feel free to get in touch with our dentists in Garden Ridge to learn more about how we can help you achieve the smile that we know you’ll love!